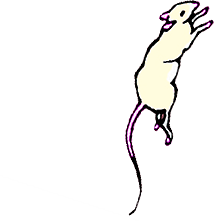 Important Announcement: JoinRats is undergoing a gradual changeover, TO the science of behavioral modification and learning principles, FROM basically nothing except intuition and an intention to be kind. What does this mean for visitors? If you are well-versed in operant and respondent conditioning, you will see this content in some galleries, but not all, because updating is happening slowly. Also, I am not professionally trained in behavior analysis or modification, so you will see newbie-but-heart's-in-the-right-place content. If you are NOT familiar with, or don't care about behavior modification, don't worry about anything! Just enjoy the site. 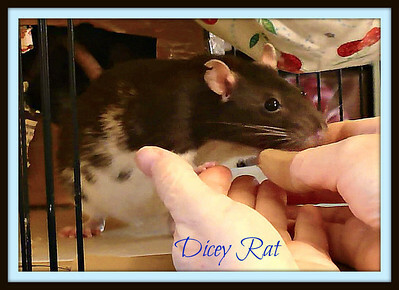 JoinRats explores the pet rat-human relationship. Trust Training. Socialization. Enrichment. And more. Even lots on Rat Health. Videos, photos, and information are used to illustrate ideas and methods. Please read the caution and disclaimer at the bottom of this page. Healthy Squeaks, or Sick Squeaks? What Does Rat Respiratory Illness Sound Like? Disclaimer: This site has neither a for-, nor a non-profit tax status, and is maintained out of love. The videos, photos, and related information offered are for illustration and educational purposes only. No photographs or videos will be offered for sale. Caution: Assess each rat before attempting any technique. Visual aids posted on this website should be studied and used with care. Not all techniques work with all rats. Consult an expert for your particular needs. Be careful, be safe.